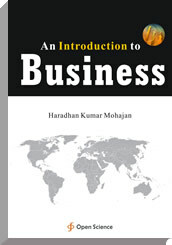 This book discussed some selected chapters related to the commerce. In the 21st century the world faces difficult challenges in economic development, global climate change and sustainable development. This book will be partial helpful to the readers of the related field. The microfinance system of Grameen Bank is a revolutionary tool to eradicate poverty of the rural people especially the women of Bangladesh. At present Grameen Bank is the largest microfinance bank in Bangladesh and probably the biggest microcredit organization in the world. Green finance is considered as the financial support for green growth which reduces greenhouse gas emissions and air pollutant emissions significantly. Capital structure decision is important for companies because it helps to increase firm value by ensuring that the company has enough resources to carry out planned investments using as much as possible the cheapest cost of capital. It therefore involves choices between the different sources of capital such as debt, equity and hybrid capital. The study determined that morale and job satisfaction plays a vital role in overall performance of the employees in the workplace. The study also determined that social status, supportive colleagues and feeling secure about the job were the top three best reasons for working in the banks. There are several evolutionary stages in the development of university-industry collaboration, which embrace unstructured to fully structured and complex modes, the paper identifies five stages: (i) ad hoc collaboration at an individual level, (ii) development of internal support structures, (iii) creation of autonomous support structures, (iv) setting up of individual enterprises and (v) national and transnational networking.